Countless summers spent beachside inspire Kristy’s artful renderings of coastal imagery. She captures the invigorating feeling of being at the shore with flowing lines and artful brush strokes. From tiny blue crabs to sophisticated mermaid wedding logos, the Classic Ocean Inspired Wedding Invitations collection is both sophisticated and artistic. 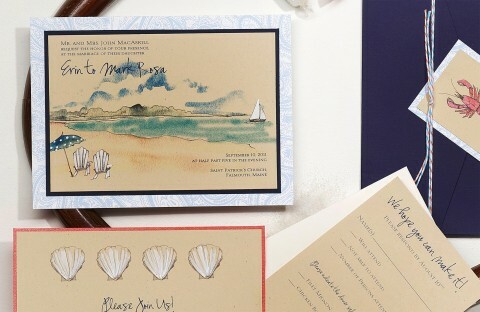 Want to see how Momental Couples have customized their Classic Sea and Sand Invitations?